Like we always say, pitching is both an art and a science. It takes time to craft the right pitch, for the right person at the right time. 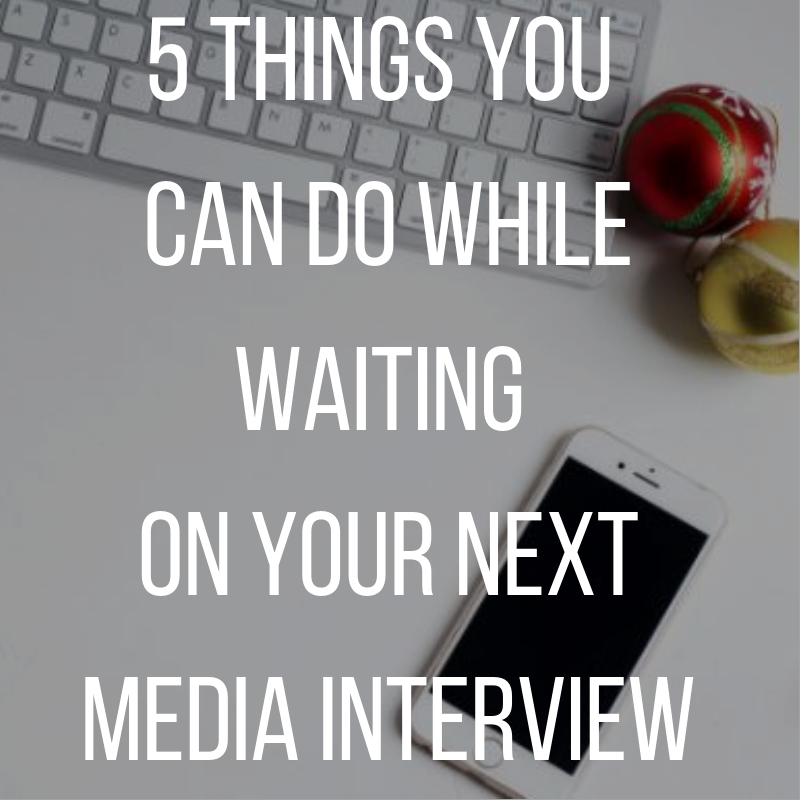 So when you land an interview or feature, the excitement is through the roof, right? Getting featured in print and sometimes online publications have a lead time of 3-4 months. For example, if you want to be featured in Essence’s March Issue, you will need to pitch them in December, no later than around January 15th or so. This means that if you secure 3-5 print press opportunities for your client (or yourself), then you will have to wait 2-3 months for the story to hit stands. While you are waiting on your press hits, here are a few things you can do to continue to increase visibility and brand awareness. Assess Your Press Goals- Think about your press goals now that you have secured a few of them. Are your key messages the same? What are the next steps to garnering more press? Are you creating a new product/service? What outlets are you still wanting to target? Assessing your PR goals will help set the tone for the next phase of your campaign. Pitch Other Publications- Don’t get too comfortable with the features that you have previously secured. Remember, you are only as good as your latest interview. You must be consistent in your publicity efforts. Reach out to other publications that you think may be interested in your brand. Update Your Press Kit + Brand Materials- Your media kit is key to building relationships with potential sponsors and investors. While you are waiting on your next press clippings, be sure to update your media kit. It needs to include all of your interviews and featured and reflect the latest look of your brand. Also, make sure your visuals ie photos, social media platforms and websites are updated with your press/media coverage. Collaborate With Influencers- If you have a beauty brand, you can collaborate with influencers by having a specific YouTuber or Instagram create their own cosmetics line under your name. Or if you have a book, you can reach out to various influencers who are well known thought leaders in your industry to do virtual book tours, reviews, etc.